Everyone knows that brushing their teeth and flossing are the most effective ways to get, and maintain, a healthy smile. But, let’s admit it – no one really wants to floss. While it’s very inexpensive and only takes a minute or two a day, most people skip flossing knowing full well that flossing can help reduce gingivitis and gum irritation. In fact, for how simple flossing is, a recent study showed that only 30% of Americans floss daily while 32% never floss at all. 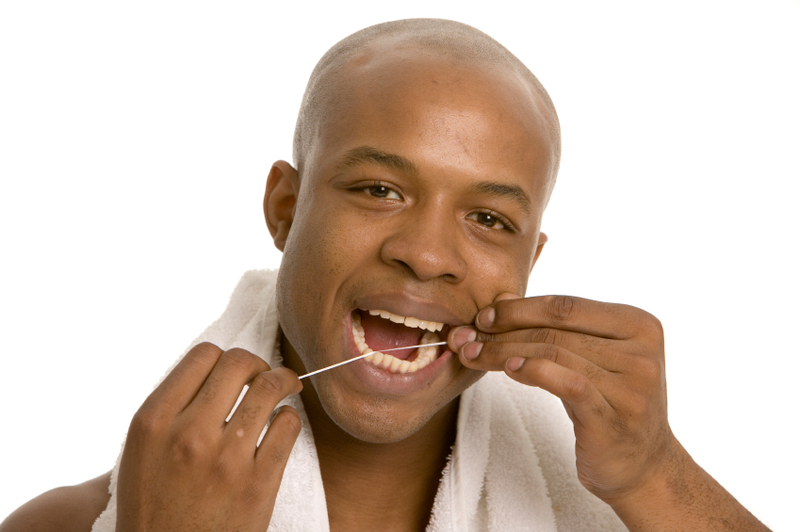 The concept of flossing is a simple one and has been around for centuries. Researchers have found evidence suggesting that the act of flossing has been around since Prehistoric times. Grooves found in teeth from prehistoric humans indicate trying to get food out from between their teeth. They most likely used objects like primitive toothpicks, small twigs, or thick horsehair to remove food and buildup between their teeth. Though the functional aspect of flossing hasn’t changed much over the centuries, there have been great improvements beyond twigs and horsehair concerning what we use to floss. In 1815, Dr. Levi Spear Parmly started to use waxed silk threads for floss. Eventually, un-waxed silk floss would be mass-produced for dental patients. During World War II, nylon replaced silk as a more durable material. Today, we can purchase floss in different flavors, colors, and thicknesses. Since there are so many types of floss, it should be easy to find the floss that works best for each patient. And since all of them are gentler than using a twig, there’s no excuse to skip flossing! Before you skip flossing, keep in mind that the cost of treatment for gum disease is a much bigger expense than spending a few cents and a few minutes a day to floss. Dakota Dental works with patients to help them build healthy habits and teach them about preventive dental care for good oral health. Dakota Dental can help patients learn how to clean teeth the right way and make it a lasting habit. To make your next appointment, contact Dakota Dental today!